I am the product of an immigrant Greek father and a second generation Armenian mother. One of the greatest sources of pride for me is due to my ethnic background. Though I was born in the United States, I was lucky enough to live in Greece with my family as a child. In college, I participated in an exchange program which allowed me to live in Germany for one month. After that, I backpacked through Europe for an additional two and a half months. That trip did it, I was sold. Travel and ruins and cultures and architecture and history became my true love. I was 22 at the time. At present, I am 40 years old. Over the years, I spoke about wanting to travel the world. I plotted and planned on how to best accomplish that goal but things just never worked out. I let the years pass and I let my dreams go because of an image I had of how I thought life was supposed to be. I tried to be the responsible person that works a 9-5 job and moves up the career ladder. However, in my attempt to do so, I realized we’ve been lied to. The story of the American Dream that people of the Generation X era were told would happen if “we worked hard” was a lie. 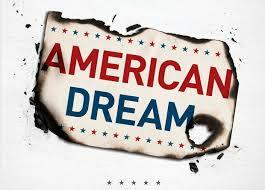 The American Dream doesn’t exist anymore. Gen Xers grew up during a time where we were sold on the idea that the house with a white picket fence, the 2.2 children, the husband (or wife), and the big bank account would all come to fruition if we just “worked hard.” Well, I HAVE worked hard and it hasn’t happened. Nor has it happened for many of my friends. We are college educated 30-40 somethings struggling to make ends meet and to move up the career ladder; and are unhappy doing so. My advise to any Millennial who feels a bit lost in life but is trying to do the responsible thing is this: Life is short. Don’t waste time and don’t be afraid to live your dreams. There is nothing you should be fighting more fervently for. Thank you so much Vanessa! I so appreciate you saying this! I’m really excited. I’ll keep you posted. I’m looking forward to your stories. Congrats on making a move to happiness and fulfillment! Thank you so much!! That really means a lot. Sometime I feel a bit crazy for planning on quitting my “good job” with the government to potentially move to Asia or the Mid-East but in the end, it’s what I want. Thanks again! The rewards will be well worth it. Life is too short!